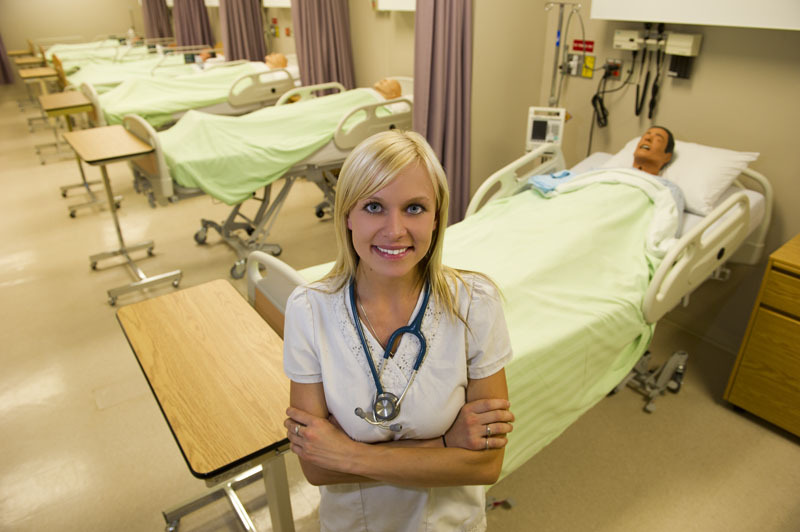 BRANDON, MB — A new agreement between Brandon University (BU) and Assiniboine Community College (ACC) will open the door for students to transfer credits directly from their completed Licensed Practical Nursing program at ACC to BU’s Bachelor of Nursing program in the Faculty of Health Studies. The recent approval of a new block-transfer-credit for Licensed Practical Nurse (LPN) graduates from Assiniboine Community College paved the way for this new partnership. In March 2009, Brandon University and Assiniboine Community College signed a historical Memorandum of Understanding “Connect 20/20” in which the two institutions vowed to work together to provide improved opportunities for collaboration and student transfer of credit. This nursing partnership is a step toward achieving this goal and the culmination of significant work. In recognizing the increasing demand for transfer of credit from the practical nursing program to the Bachelor of Nursing (BN) program and in the spirit of the Connect 20/20 agreement, the Brandon University Department of Nursing conducted an extensive review of the transfer of credit policy for practical nursing graduates who have completed the 15-month enhanced or the 20-month Practical Nursing diploma program through ACC. The result of this review is a significantly increased block-transfer-credit that recognizes the educational and employment background of Practical Nursing graduates. Judy Marvin, Assistant Professor in the Department of Nursing, and one of the BU’s faculty members who has been actively engaged in this initiative says, “This change represents an important step in Brandon University’s efforts to work with stakeholders and partners to meet the needs of the health region.” The new block-transfer-credit will allow LPNs to bridge more easily into the BN program and build on their knowledge base. For the region, this potentially translates into an increased number of Registered Nurses to help fill wide-spread vacancies. Demand for the new LPN-BN program is expected to be high, as LPN’s have been inquiring and searching for an improved transfer credit system for years. This new and exciting opportunity will allow LPN graduates to attend Brandon University for two years and become a Registered Nurse with a Bachelor of Nursing degree.